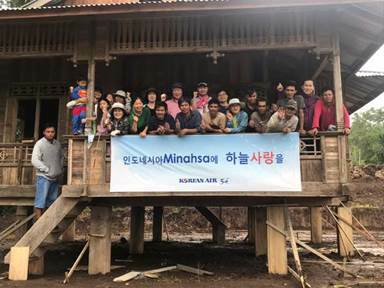 One of Korean Air’s volunteer groups helped a local community in the city of Manado, North Sulawesi, Indonesia from 31 January to 5 February. Manado is the capital city of the Indonesian province of North Sulawesi, located on the island of Sulawesi, the 11th largest island in the world. 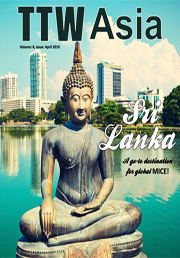 Korean Air volunteer groups contributed to underprivileged communities in Cambodia and helped to build homes in typhoon-struck Bicol, Philippines, last year. Currently, Korean Air has a total of 25 volunteer groups actively helping with projects and community programs at orphanages, rehabilitation centers for the disabled, as well as senior care centers to support disadvantaged groups. As a leading global carrier, Korean Air will continuously support global volunteer activities in order to perform its corporate social responsibility as part of the company’s initiatives to give back to the society.